Luxury Mediterranean design villa project in Paichi, Moraira, Marina Alta, Alicante. This exclusive villa is distributed on 2 levels, with south facing orientation and magnificent open valley and mountain views, on an ample 1040 m2 plot and a generous 347.11 m2 construction. The building license for the project has already been passed by the town hall. Comprising three bedrooms, two bathrooms (one en-suite), open and covered terrace and private swimming pool and garage, the villa will be built with premium quality materials. ​Additional features include; Central heating, pre-installed air conditioning, white p.v.c exterior carpentry with mosquito nets and electrical blinds, double glazing, barbecue, wooden pergola. The kitchen units, floor and bathroom tiles, interior and exterior paint colors, etc will be chosen by the client. The villa is ideal for permanent residency or to spend great holidays. 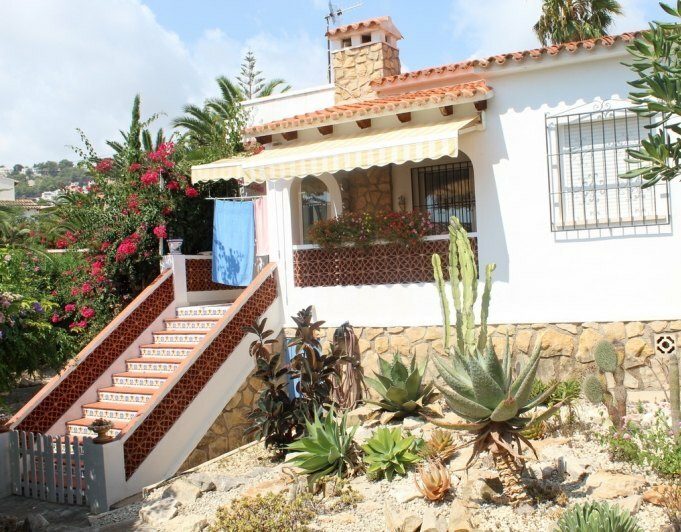 This property benefits from its position: 2, 5 km distance to the centre of Moraira, beaches and all town services.